L’Ambizioso Duo performs with an exciting and refreshing look into the world of double bass and piano repertoire like no one has ever witnessed or heard before. Comprised of two exceptionally talented brothers, professional trained at the top music conservatories and universities in the world, L’Ambizioso Duo performs around the country annually for tens of thousands of people. Make sure to catch them in their upcoming 2018 tour, sponsored in part by the Minnesota Arts Council! L'Ambizioso is pronounced La-ahm-beetzi-oatzo, and is Italian for "the Ambitious One." It is the name of Brock's hand-carved Italian bass as given by the luthier, Luciana Golia. Just Finished 2018 "Encore" Tour! L'Ambizioso was proud to complete our second major tour, with sponsorship from the Minnesota Arts Council! With over 30 concerts all around the Midwest, we performed for nearly 12,000 people in concerts. Questions about hosting L'Ambizioso? Read our FAQ! 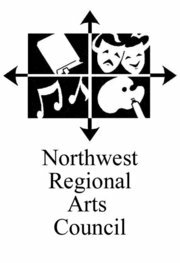 Tour 2018 is made possible through generous support from the Northwest Minnesota Arts Council and the McKnight Foundation. Thank you! To learn more about what our concerts look like, watch this video from one of our recent concerts in California. Sign up to receive news and updates. Be the first to hear about new CDs and concerts!